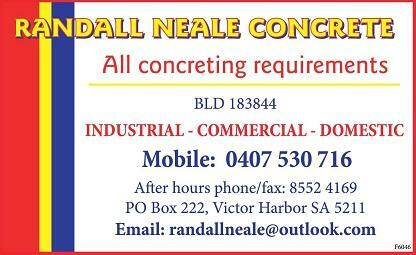 For all your concreting jobs in Victor Harbor, Port Elliot, Goolwa and surrounding towns and regions on the Fleurieu give Randall Neale Concrete a call. 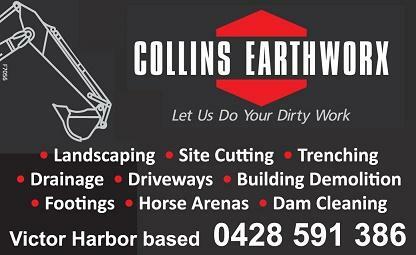 If you’ve got a dirty job to do, Collins Earthworx at Victor Harbor is the business to call. 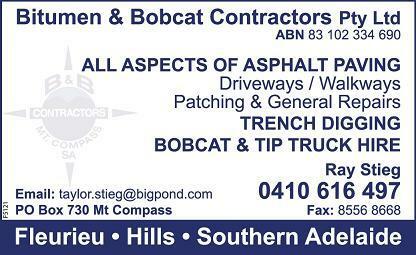 Collins Earthworx can help you with all your excavation needs including driveways, footings, site cutting, rubbish removal, fenceline clearing, drainage, trenching, dam cleaning, horse arenas and even building demolition.